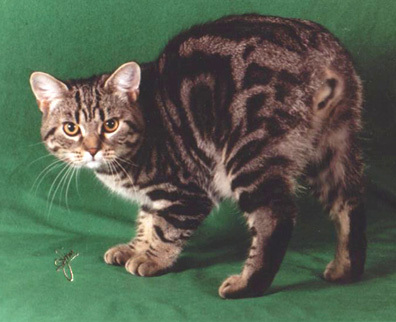 Born 1-22-04, he is a tarnished silver classic tabby, so now he was shown as a brown classic tabby. Dougal is also a Grand in CFA in just two shows!! 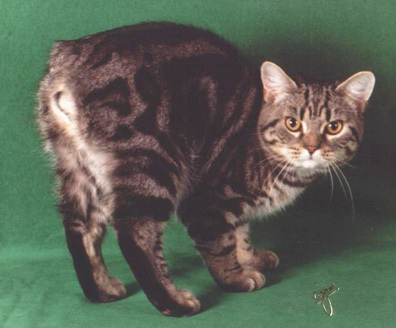 For the 2004-2005 season, Dougal was NW Region 7th Best Kitten and 6th Best Cat! 2005-2006, he is NW Region Best Cat, and 7th Best International Cat!! We now have a couple professional photos - Looking good!